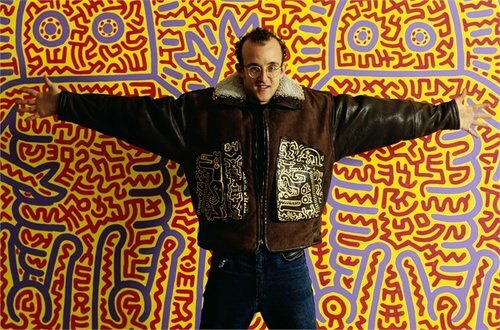 Keith Haring (May 4, 1958 – February 16, 1990) was an artist and activist who had a large presence in Greenwich Village during the 1980s. Haring gained attention by creating illegal art on subway billboards. He went on to create larger commissioned pieces around the world Today his art is incredibly well known. He participated in a number of campaigns based on causes like fighting the AIDS epidemic and his anti-drug campaign (including his notable work “Crack is Whack”). In addition to his activism, Haring was known to associate with artists like Andy Warhol, Jean-Michel Basquiat, and Madonna – all also presences in the Village and greater New York City during that era. Today, the Keith Haring foundation is still operational. A pop-up shop, which sold accessibly priced Haring merchandise was located in Soho until the 2000s. The shop remains functional online. The foundation aims to continue Haring’s activism and continue to raise awareness about AIDS.